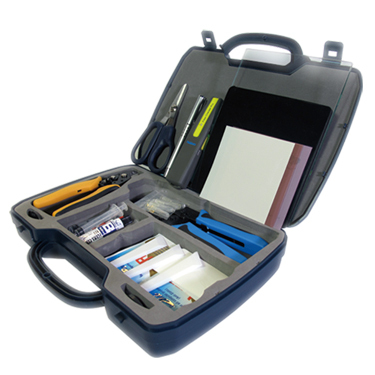 Fiber Optic Installation & Repair Tool Kits | Hobbes Innovation Co., Ltd. 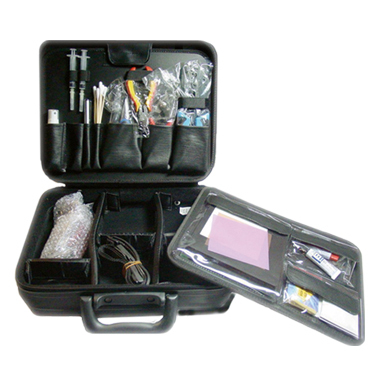 It provides the technician with the basic tools that are essential for fiber optic termination and testing. • Glass working pad 6"x8"
• 6um brown diamond polish film 4"x4"
• 1um purple diamond polish film 4"x4"
• 0.05um white alum. oxide polish film 4"x4"
• Rubber working pad 6"x6"